An elegant collection of high quality steel dies designed to co-ordinate with each other. 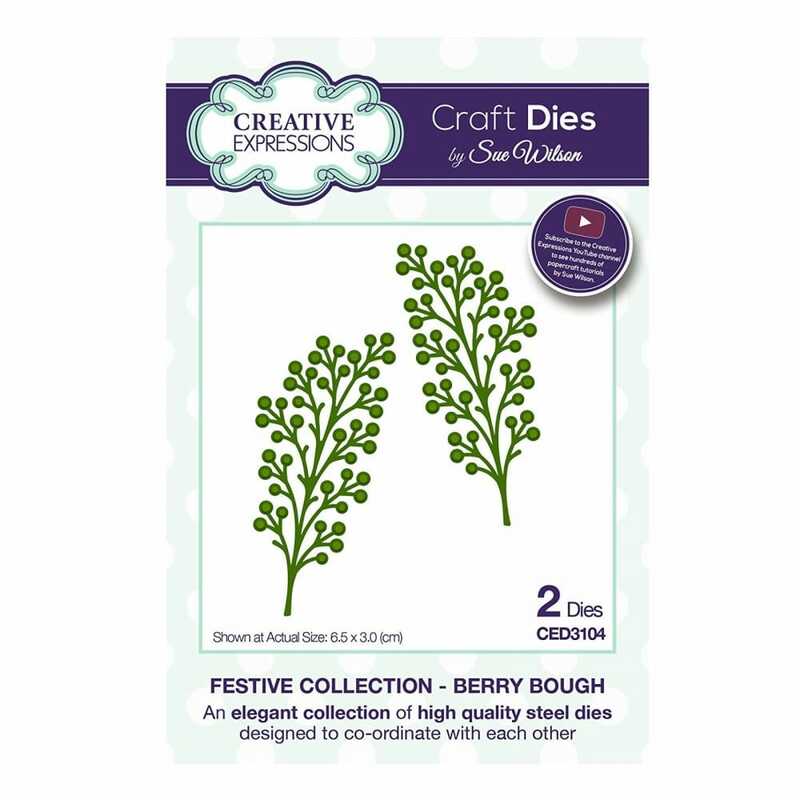 Designed by Sue Wilson and are suitable to work with most tabletop die cutting machines this berries will add colour and depth to your Christmas card making. Creative Expressions revolutionary patented metal die templates are sophisticated, elegant and offer maximum versatility in each and every die. Cut shapes, emboss detail into die cut shapes, and stencil through the die template for added impact.